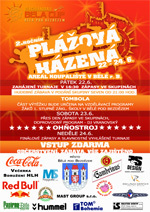 The Bělá cup beach tournament is held from 22nd to 24th June 2007 in local open air pool area. We are very pleased to invite you to the second year of this tournament. Bělá cup is held as mix tournament, it means that both men´s and women´s teams are welcomed. Registration fee is CZK 1000, it´s approx. EUR 37. From Prague you will come on main road R10 direction Liberec. 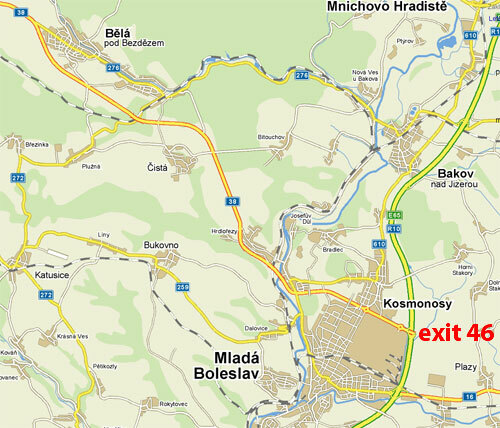 Leave it on exit No.46 following Mladá Boleslav - Industrial zone and continue to Česká Lípa direction. Leaving Mladá Boleslav, resp. Kosmonosy go on approx.12 km and turn on 3rd guide-post Bělá pod Bezdězem 2km. After entering city Bělá pod Bezdězem search for swimming area and you will also see an information boards with Bělá cup sign.